Adorable photo frame for those precious baby pictures that you want to treasure forever. The perfect gift idea for new parents. 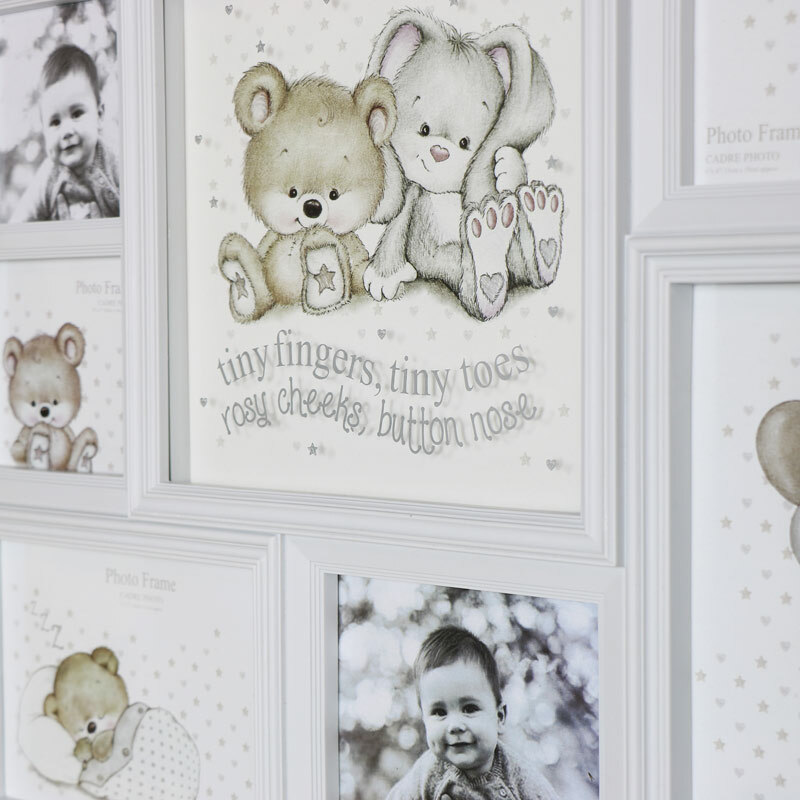 Treasure those memories of baby's first moments and proudly display them in this frame. Holds 6 photographs in various sized frames with the centre displaying a picture of cuddly toys and sweet quote. Wall mounted in white multi frame design and cute quote. Adorable photo frame for those precious baby pictures that you want to treasure forever. The perfect gift idea for new parents. Treasure those memories of baby's first moments and proudly display them in this frame. Holds 6 photographs in various sized frames with the centre displaying a picture of cuddly toys and sweet quote. Wall mounted in white multi frame design and cute quote. White plastic frame with multi apertures in assorted sizes. Easily wall mounted with 2 hooks on the back.